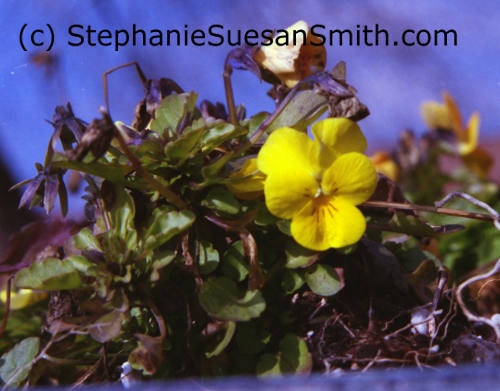 This is a guest post from Gardening Blogger and Master Gardener Stephanie Suesan Smith, author of “Preparing a Vegetable Garden From the Ground Up”. Stephanie is the extremely talented blogger with specialized knowledge she shares in her garden blog, photography blog and woodworking blog. Read Stephanie’s interview on MurrayNewlands because she is a role model for bloggers and businesses interested in reaching her audiences. Garden bloggers are becoming an increasingly important segment of the blogosphere. However, they are virtually ignored by PR firms and companies that produce items for the lawn or garden. When Victory Gardens are once more in vogue and even the White House has a kitchen garden, marketers are missing a golden opportunity to influence first time gardeners to purchase their products. Who are garden bloggers? While some bloggers who blog about their family mention gardening, garden bloggers tend to have blogs that focus exclusively on gardening. The Garden Writers Association (GWA) has over 1,800 professional communicators in the lawn and garden industry. Many of those individuals have blogs dedicated to gardening. In addition, there is a wide pool of garden bloggers who do not belong to GWA, but are master gardeners or other garden volunteers. These blogs, like those of GWA members, tend to hold much information that is basic and applicable anywhere. However, because gardening is, by its’ nature, location specific, these blogs also hold a rich body of information that is applicable specifically to the area in which the blogger lives. This means targeted local advertising opportunities for marketers. Who reads garden blogs? Anyone from rank beginners to master gardeners. Some blogs are deliberately geared toward the person who has just moved to a house with a lawn and does not know how to care for it. Others target people who are beginning their first vegetable garden. Still others target intermediate or advanced gardeners with niche interests. You can find a blog on almost any horticultural subject. Some blogs have small readerships due to their niche. Others are read by hundreds or thousands of people. Think Howard Garrett or Neil Sperry and remember they are garden bloggers. Economic impact of gardening. The Garden Writers Association commissions a survey of gardeners every quarter. The report is free to members and is available to nonmembers for a small fee. The summer survey reports that the average consumer spends $600 a year on lawn and garden products. Consumers do not, on average, expect to reduce this spending even though times are tough. Just over one half of consumers grow vegetables, and this number is expected to rise. Consumers are focused on saving money and obtaining fresher, healthier food by growing their own produce. Need for targeted advertising. Currently, only 3% of purchases were made over the internet. The vast majority were made at big box stores or nurseries. If mail order companies expect to survive in this tough economic climate, they are going to have to advertise where the consumers are. Garden blogs are an ideal place to spend scarce advertising dollars. Further, through the use of coupon codes and affiliate links, it is possible to track which blogs are funneling consumers to your site and which are not. Local businesses can advertise on blogs that target their areas. Why waste money on an advertisement that is not reaching your target consumer? How to find a garden blog to review your product or advertise on. By now, you are probably wondering how to find a garden blogger that will review your product or sell you advertising. I will discuss that in part two of this article to be published on Thursday as a post about Blogger Outreach on MurrayNewlands. GARDENING BLOGGERS: Be sure to connect with Stephanie (Twitter) and GrowMap (Twitter) so they can send you more visitors from Social Media, link to and write about you and share income opportunities with you. Informative blog sharing. I want to make a garden infront of my home. But I am a little bit confused which type of garden is better for me? There are some great video channels about gardening on YouTube. Personally, I would focus on edible plants and those that attract pollinators. Check out GrowingYourGreens or what I have saved on my YouTube channel for ideas. I have a lot of gardening related playlists there. Gail Gardner would love you to read ..Content Marketing Is So Much More Than Blogging! I have just started writing a garden blog but one that explores issues about the garden eg. using accents like sundials to adorn the garden. However, I enjoy reading gardening blogs to learn about the best ways of growing my plants and vegetation; I appreciate the ideas and recommendations on the kind of plants that would sustain growth in my area as an instance. Gardening is a fun activity and one that I use to take my stress out. I enjoy it and will continue to explore the creative gardening blogs existing these days! Sodding Richmond Hill would love you to read ..Smart Irrigation Saves Money! I have seen very few garden blogs. This blog is really unique and interesting. For me gardening is a stress buster. Having good garden furnitures can add the beauty to your garden. As inflation increases the cost of food and the economy continues to be tough, everyone should grow at least some of their food. Some plants are really easy to grow, and the best way is to have a 4×8 raised bed built filled with compost. That allows you to grow food in a small space in very good soil without any tilling and much less bending over. In my area there are even people advertising on Craigslist who will come build these for you. Seeds are cheap and some plants like little tomatoes, squash and beans can produce a ton of food off just one plant. Yes, many people have gardening related businesses, but just as many grow food for their health. Gardening is a calming experience that provides produce that can be far healthier than any you can buy in the store. Everyone should at least consider having a few plants in pots or a 4×8 raised bed box. I will say the gardening industry is a little slow to catch in the all online marketing strategy, but if some bloggers were smart enough to take a product and market it and show the real effect of their online marketing on the product sale (number don’t lie), that will more than change the opinion of at least a portion of people in the industry. I have searched high and low but it seems the blogs and forums I find concerning lawn care are geared towards the professionals in the green industry that offer advertising opportunities. I have owned and operated a lawn care business in my small town for the last 20+ years. Unfortunately, those that work in my field make a lot of money doing sprinkler head repairs. Therefore aren’t interested in preventing accidental damage to the lawn sprinkler heads. I’m looking to run a small banner ad that would reach the actual homeowners. I have a blog of my own that I receive some traffic from but I mow grass for a living. I’ll admit, I’m not the best at blogging. I’m looking to advertise my invention “Sprinkler Buddy” on some popular blogs. My target market is home owners with a sprinkler system. I prefer mostly USA traffic. Florida, Texas, California are where I’ve received most orders but I have shipped to just about every US state. If anyone can point me in the right direction it would be most appreciated. I sell on Amazon if that matters. I would do a search for “top lawn care blogs” as their audience is your audience. There are platforms that let you track blog outreach or connect with bloggers by niche. I don’t know how likely lawn care blogs are to belong to those platforms. How you want to go about this depends on how much time you have to work on it yourself versus what your budget is. I can provide you more direction if you want to contact me. The most efficient way is on Skype (username growmap) or via a regular tweet to @GrowMap. If those don’t work for you, you can respond to this comment. I have just started a gardening blog and found this article very interesting. I am curious if the climate has changed at all in the 5 years since writing this article. Also wanted to let you know that I exist in case you have still anything going on thanks. After buying a small land recently, I started to follow a couple gardening blogs. I learnt a lot from (professional) gardeners. They even sent me some seeds by mail. I love reading gardening blogs, but I also love reading blogs that include both family life and gardening. I love seeing families do both! I wouldn’t buy plants over the internet (I like to look at the condition etc before I buy) but tools and other stuff like planters I always get online. You can also get seeds online, if you go to a trusted place you can’t go wrong. Also we can exchange a lot of information and get tips from these gardening blogs. I would like to let you know about the growing number of gardeners purchasing products from the Thompson Morgan gardening products website. Thompson and Morgan has seen a growing number of gardeners purchasing products via the internet. We have plans to setup a blog as we have seen an increase in the number of people buying products once they have viewed the grow your own pages. Thompson-Morgan makes it easy to buy mail order plants. Don’t want this to come across as spam I just think it is important to highlight that a lot of people are now ordering plants online and how the plants are sent. I’m currently on blogger, but the more I read about these ‘luv’ plugins the bigger the argument gets to switch to wordpress. Not ready to make the plunge yet, but it appears the day is coming. Stephanie – I visit a number of different garden blogs frequently for some of the reasons you have listed above. I have never thought of using a garden blog to advertise on until now. It’s definitely a great strategy for a local business since the audience will be much more targeted and specific to their area of business. Thanks for sharing, and I’m looking forward to reading part two of this article. Glad to help. The second part of the article is live now, so hope you read it, too. Stephanie – Nice post. Do you recall GardenEscape.com? Early on it was one of the highest visibility e-commerce sites. My guess is that they failed due to trying to offer too many products (please correct me if wrong). I think a lesson to be learned may be that success as a garden product seller may be easier to obtain if a suitable niche within the category is targetted. I never used GardenEscape.com. They may have been ahead of the curve. I think doing one thing well is much better than doing a lot of things so-so. Too many sites sell furniture, bird houses, tacky garden statues, and a few seeds or plants, and call themselves garden shops. They forget that the plants and seeds have to come first, then the other stuff follows. Nobody buys furniture to sit in a pile of weeds. I remember that from visiting there once. Everyone proudly showed us their allotment and we ate produce straight from the garden. I got to eat raspberries I helped pick, which don’t grow well here in my corner of Texas because of the heat. I was very impressed. Many people or businesses don’t yet understand the full extent internet has over the population and how can this spread help them with their business. And especially those that deal with gardening. Most just have a small store that sell seeds and some related things, like tools for caring for your garden. I think, if you really want advertisers to know about this blogs and their importance, some lobby is required. Maybe even some meetings with some nicely drawn charts, hey even email might do. The person approach works for local businesses, true. But articles such as this can help PR people and large businesses see what they should be doing, too. It can be hard to find a person to talk to in such large businesses that has the authority to take action. For example, Sears.com spends thousands annually on Mommy Bloggers to advertise their appliances, but spends nothing on garden bloggers to advertise their garden implements and other outdoor products. They are overlooking a major resource with such neglect. They are not the only big company to do this. Excellent write up. Garden blogging/info products have been around for years and a huge market. I have nothing for it per se, but this is some good advice for niches in general. Yes, I was shocked at how little gardeners are purchasing over the internet. Partly it is because shipping plants is a pain and unless you trust the merchant you may be hesitant to take a plant sight unseen. But a lot of it is marketing. The two groups — PR and gardener, are not having much of a conversation right now. I believe more and more gardeners will be buying online. The advertisers need to act now. That is my belief, too. But gardening companies are not yet aware of the need to pitch us. Excellent post. This is the first article i am reading about Garden blogging. i would like to know more about it. Garden blogging is just what it sounds like, blogging on gardening topics. Trot on over to my blog and you can see what one looks like. I discuss how to garden and various topics that people need to know to be successful in growing their vegetables. Other people discuss mainly ornamental vegetation. Some discuss both. That’s a good example of what quality content can bring in terms of success. While good content is absolutely necessary to succeed, it is not sufficient in and of itself. You have to market yourself or no one will be able to find you, good content or not. We do have a tendency to turn any vacant piece of ground into a garden. I am regular visitor of these blogs. Garden blogger always present unique contents about the gardening. I have learn a lot from this blog. Thank you, Basam. I recognize your name from your comments. Nice to know I have someone’s interest. As you know I always enjoy your gardening posts. You have made some good points on how to get the gardening blogs out there and how to monetize them. With more people turning to organic produce and many opting to have a small veggie patch of their own, there is so much scope. I hope you get lots of visitors to this post. Especially those with a gardening blog. Off to RT and thanks for sharing. Thank you for your support, Patricia. I enjoy your comments and read your blog, as well. I deal in wholesale stone, and I like to know what my potential clients may be using my stone for. I’ve seen a huge increase in demand from people looking to decorate their garden with natural stone, all thanks to a specific targeted online ad campaign on garden blogs. As this part of my business grows, I think I’ll look into several of the resources you mentioned to see if there are any further business opportunities to be had. Good for you! The worst thing you can do is take the increase in business for granted.